In a prior blog-post headed, Property Rights: Do They Also Include Responsibilities?, it was argued that ownership of a property not only grants rights, such as that of determining who should or should not reside in or on it, but also responsibilities. The outstanding responsibility is that towards the community or society in which the property is located. Recently Channel Four television has launched a campaign to have empty residential properties returned to use, claiming that there are about one million of them vacant. It is claimed that there are about three hundred and fifty thousand that have not had residential occupancy for over six months. In London the estimated number of empty properties is 70,468, in Leeds 16,865 and in Birmingham 13,109. Concurrently it is often stated that there is a housing shortage, meaning that more homes must be built. The aforementioned blog-post states, ‘The solution surely lies in highlighting and drawing public attention (with due means if making disapproval clear) to the responsibilities of property ownership’. Our focus was on private-sector ownership, whether by individuals or companies. 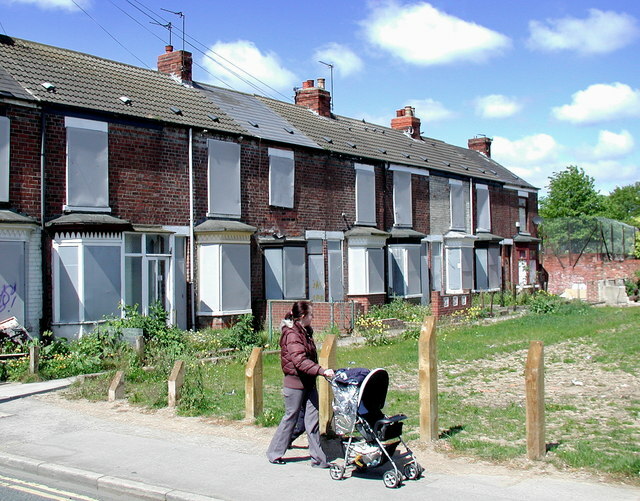 The Channel Four campaign estimates that about 88% of unoccupied properties in the UK are privately owned, implying that the remaining 12% are in the hands of councils, public institutions and public-housing trusts. Councils and public-housing trusts own residential property not for commercial gain but for the public or Common Good, providing homes for those unable to secure them due to their financial circumstances. Just as in the case of private individuals and companies, these organisations tend to ensure that empty properties in their ownership are kept secure so as not to be occupied by squatters. That is a costly expense. Liverpool spends £1.28 million per annum securing empty properties. A property awaiting funds for renovation following the departure of a tenant can be justifiably kept empty for a time. However, many empty properties owned by public and charitable bodies are in fact awaiting demolition. Housing of a better quality, or better corresponding to local needs, is generally intended to replace the empty properties. In the case of a street or housing estate it obviously takes time to empty properties, some residents being reluctant to leave. Often the responsible council or public body sets out to demolish and clear a residential area and only then does it seek funding to rebuild. It is also frequent that an area will be cleared without any guarantee in place that funds will be available for demolition and rebuilding. That means that a great many properties, in ownership ostensibly for the Common Good, are deliberately kept empty at great expense. One response to this state of affairs is to argue that all residential property be in private ownership on the grounds that public ownership inevitably results in properties being utilised effectively. It could also be argued that private ownership might result in a greater sense of responsibility, both to the property itself and to the community around. It would follow, theoretically, that properties would then be unoccupied only if there were a glut in the market. Most people do tend to maintain and look after that which they privately own. Ownership of one’s home also provides a sense of stability and security, with a knock-on effect upon an individual’s feelings towards the local community. Such an argument, however, does not refer only to owner-occupiers. There are companies and individuals who own multiple homes and rent them out. If an estimated 88% of unused property is in private ownership, most if not the entirety of that percentage will be owned by such companies and individuals. An unrefined private ownership does not, therefore, resolve the problem. Councils and public-housing trusts certainly do serve the Common Good through ownership of property with a view to provision of housing for those – families or individuals – unable to use the market. Many can cover a portion of the cost of maintaining a home. If not assisted they could provide only for unsuitable accommodation. A few at particular times cannot cover even such a proportion of costs on their own. In existing economic circumstances, therefore, a manifest need exists for public and charitable bodies to provide housing. It can indeed be legitimately stated, as the Channel Four campaign does, that the situation is scandalous. Many bodies work against their very raison d’être rooted in the Common Good when entire streets and estates are deliberately kept vacant for long and undefined periods, particularly when no assured financial plan exists for replacement. The effect upon local communities, as well as upon families maintained in unsuitable accommodation, is entirely negative. That results in serious damage to the fabric of our society. The scandal is enhanced when such bodies are in receipt of huge sums of public money targeted at assisting them in providing for the Common Good.